MORE than £40,000 in grants were awarded at a celebration of all that is best in Bognor Regis. The town’s mayor, Cllr Stephen Reynolds, hosted his civic reception as his year in office draws to a close. The reception was a chance to highlight the many charities and organisations who contribute so much to the town. A Bognor Regis Town Council spokesman said: “The highlight of the evening was the presentation of cheques, amounting to over £41,000, to successful applicants for the council’s annual grant aid. In keeping with recent years, the reception was held at Butlin’s. It was attended by many invited guests. They included the organisations who benefited from the grants, charities and dignitaries. Live music was provided by the very lively three-piece band, Beaten Tracks, who were the mayor’s choice, after they gave a fantastic performance at his daughter’s wedding. Guests on the night were hugely supportive of the mayor’s charity, Arun Angels. The raffle in aid of the good cause raised £260. The prizes and experiences included a bluebell walk with Rupert, the mayor’s alpaca. 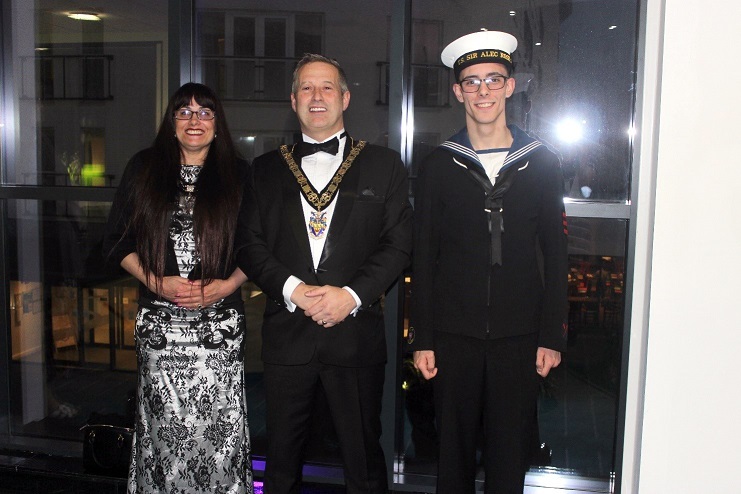 Special congratulations on the night went to Faz Chatima and Connor Merrick, who received the mayor’s Good Citizen Award and the Citizen’s Award for Young People. Connor is pictured above and Faz is shown below with Cllr Reynolds and the mayoress, Kim-Marie Stone.